Melt a knob of butter over a medium high heat in a frying pan. Add the chicken and saute for a couple of minutes until sealed all over. Add the garlic and stir well. Cook for a minute then add the tomatoes, vinegar and another knob of butter. Reduced the heat and simmer gently for 15 minutes until the tomatoes have turned into a sauce and the chicken is cooked through. Add the basil and season with salt, pepper and sugar. 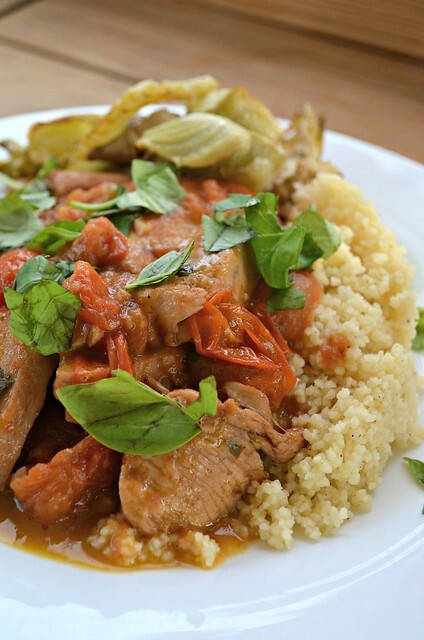 I like this served on top of couscous. I wish I had checked your blog earlier today! I had all the ingredients for this recipe and it sounds delicious. Instead, I put the chicken in the crock pot with chicken broth to simmer for chicken salad. Maybe next time, except my summer basil is starting to wither away. I almost picked all of it yesterday to dry. Looks fantastic. 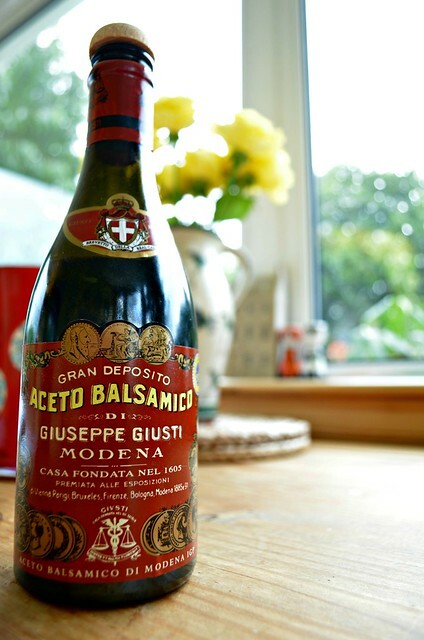 I love the bottle of balsamic vinegar! And I love the qualification about the cookbook author- pah! Are the Day-Lewis a big clan in the UK or what?